A Fire and Ice Festival carving. Photo by Len Villano. If you’re getting bored with building run-of-the-mill snowmen, now might be the time to try your hand at snow sculpting. With the unbearably cold temperatures and wind chills out of the forecast (at least for now), get outside and be creative. Here are a few tips for beginner snow sculptors. • Know your snow. Wait for the temperature to be between 20ºF and 25ºF so the snow will be the perfect consistency for sculpting. At this temperature, the snow will be the most pliable. If it’s warmer — and the sun’s out — the snow will start melting. If it’s colder, the snow could become dry and brittle and therefore harder to sculpt. • Start small. Snow sculptors, like marble sculptors, start with a block or dense pile of material, and then they take away from it to reveal a different form. The larger the block, the more unwieldy it’ll be for sculptors. Once you get the hang of sculpting on a small scale, move on to creating larger works. One way to get a uniform block of snow: pack the snow into a garbage can and turn it out. This is a similar process to how you would build a sand castle. • Assemble your tools. Depending on your age and skill with using power tools, the tools you choose could vary. Many snow sculptors use chainsaws for removing large chunks of snow and drywall saws and chisels for detail work. If those tools sound intimidating, you could use household items: spatulas, spoons, shovels, ice cream scoops, common kitchen knives and the like. Just remember to keep them safely stored while you’re working so you don’t misplace them or injure yourself by stepping on them. • Add a little flourish. Snow-sculpting purists may not agree, but to make the sculptures extra special, add some color. Mix some food coloring and water in a spray bottle, and spray it onto the snow sculpture. The color may make the snow melt faster, but no snow sculpture lasts forever. 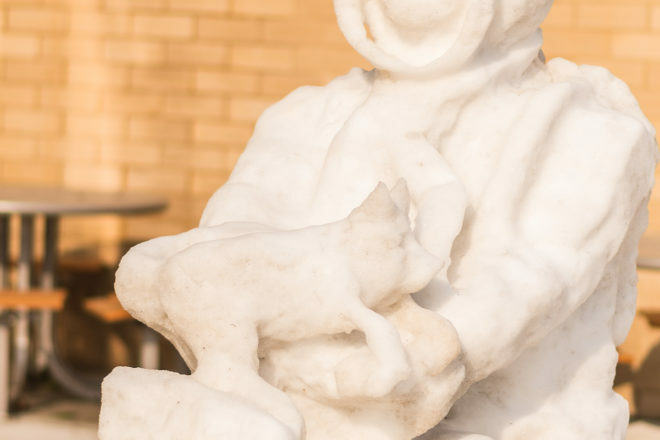 If you’d like to see some examples of snow sculptures by beginner, intermediate and advanced sculptors, sculptures will be displayed throughout Sturgeon Bay during the city’s Fire and Ice Festival on Feb. 16. 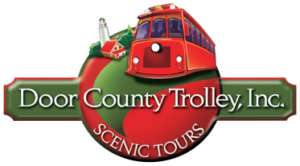 Sculptors will start working at 9 am, and the Door County Trolley will take people in a loop around the city to see the sculptures from 10:30 am to 2:30 pm. For more information about the festival, go to sturgeonbay.net.